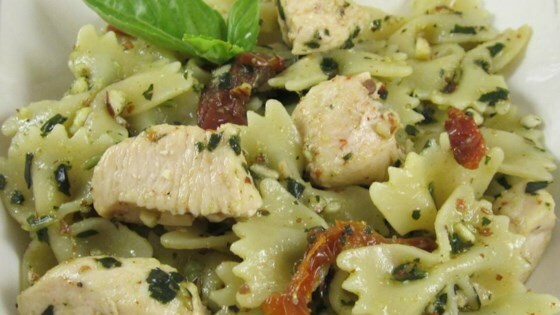 "Easy and delicious pasta with chicken. Serve with crusty bread and salad for a quick dinner. Use as much or as little pesto sauce as you like. Using homemade pesto will taste even better, but it adds to prep time. Enjoy!"